Seefeld, October 2018 EOMAP has provided satellite-based water quality monitoring for Georgia’s river system to support strategic assessment of the power sector development in this region. The economic and ecological evaluation of new hydropower developments rely on a number of environmental conditions, such as key hydrological parameters. For example, major drivers of reservoir storage capacity over time, reservoir life time (and related re-investment time), and also a major driver of the operatio ns costs are directly related to the sediment regime and sediment trapping. These are defined by external environmental boundary conditions. At pre-planning stage, this data is often not available for extended areas and river systems that have to be investigated for regional developments. This creates major risks for the sustainability of development plans. Satellite-based water quality monitoring can help to reduce these economic risks in hydropower developments. 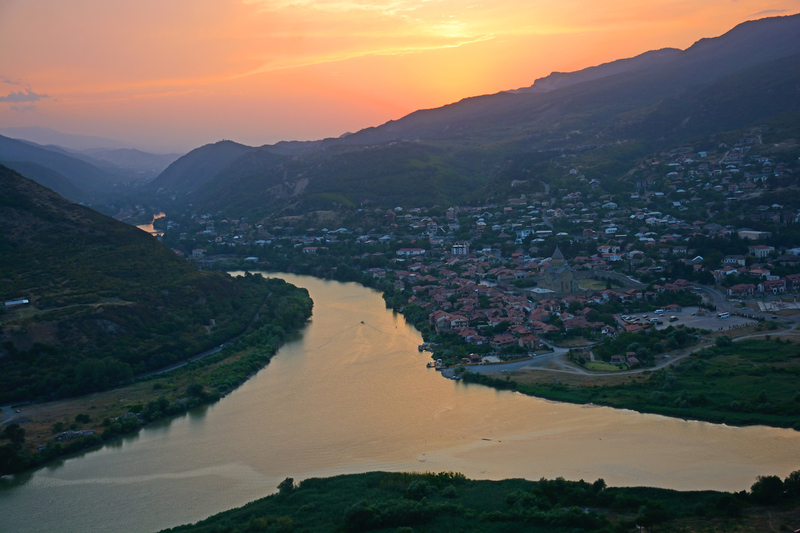 EOMAP’s main project objective was to assess the satellite-based turbidity and related suspended matter concentrations and seasonal changes for the major rivers in Georgia and to prove the feasibility of such data for planning of hydropower and water constructions. EOMAP was appointed to carry out the satellite-based measurements by Stucky Ltd., an engineering consultancy, specialising in hydropower. 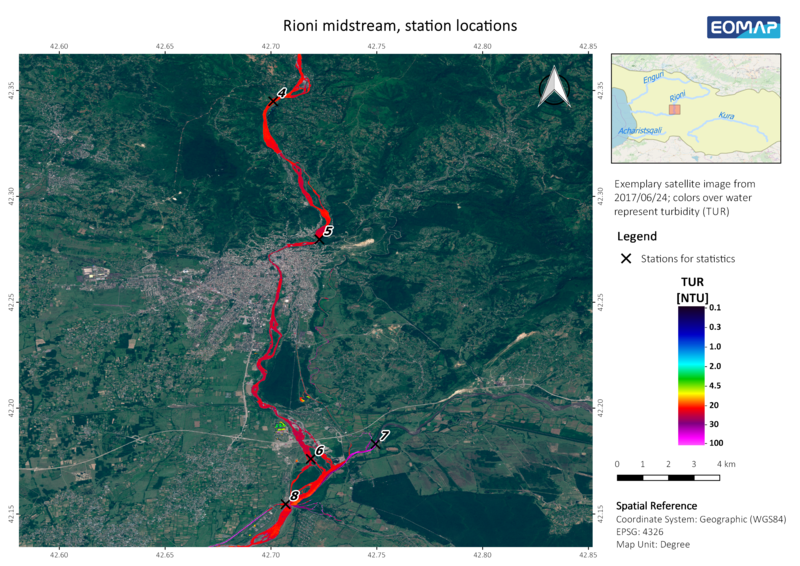 The analysis was performed independently from in-situ data for the rivers Adzhariskali, Mtkvari, Rioni and Enguri, allowing for the limited availability and the unknown harmonization level of the data. EOMAP will be at the Hydropower & Dams 2018 Conference in Gdansk, Poland and present the results of the project on Wednesday, October 17, 2018. Please follow the link for the conference programme.